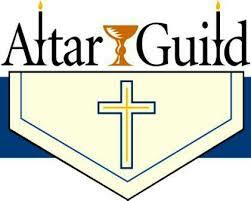 The mission of the Altar Guild is to care for the physical environment of the church, the “Household of the Lord”. The members of this ministry assist with maintaining and beatifying the physical aspects of the Church for liturgy. The ministers of the guilds share a personal dedication to cleaning the furnishings and other appointments of the sanctuary and sacristy. Duties include, but are not limited to, custodial services and arranging worship materials in the pews. This ministry provides a reverent atmosphere in which to more faithfully offer ourselves to God in the liturgy.